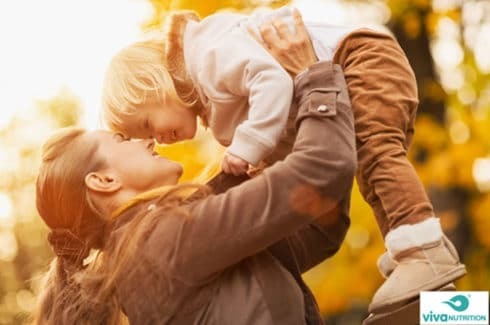 At vivaNUTRITION®, we believe in improving the overall health and wellbeing of families with our products that support brain development and digestive health. Our goal is to create a happy community and bring the best out of you and your children with natural, nutritious and delicious food and supplements aimed at supporting brain development and digestive health. 80% of the human body’s immune system is present in the gut, leading to a well-established link between the gut and the brain. If you have ever had butterflies in your stomach when feeling nervous, you will appreciate the association. The intestine, stomach, and esophagus are all connected to the central nervous system (spinal cord and brain). It was formerly believed that stress was a mental factor and it sent signals via the nervous system to the gut; but a 2013 study conducted by the University of California at Los Angeles reveals that things work in the opposite direction too – those who ate ‘healthy’ foods (those rich in probiotics) that altered their gut flora reported better cognition, perception, self-awareness, motor control and better regulation of homeostasis (body attaining a state of equilibrium despite so many changes happening both inside and outside). To support our goal, our initial product launch includes two different Super Fiber Chia Bars and 5 Billion Probiotics for kids as well as DHA softgels for women. For moms and grandmas we’ve introduced our own DHA, an essential Omega-3 fatty acid known to have positive effects on brain function and eyesight in addition to improving memory. * vivaNUTRITION®’s DHA is vegetarian, algae-sourced and free from oceanic contamination, which differentiates it from other DHA products in the marketplace.